Fresh calls from the Sydney Swans for a drop-in wicket at the SCG are set to fall on deaf ears despite growing concern around the state of the playing surface at the iconic Moore Park venue. 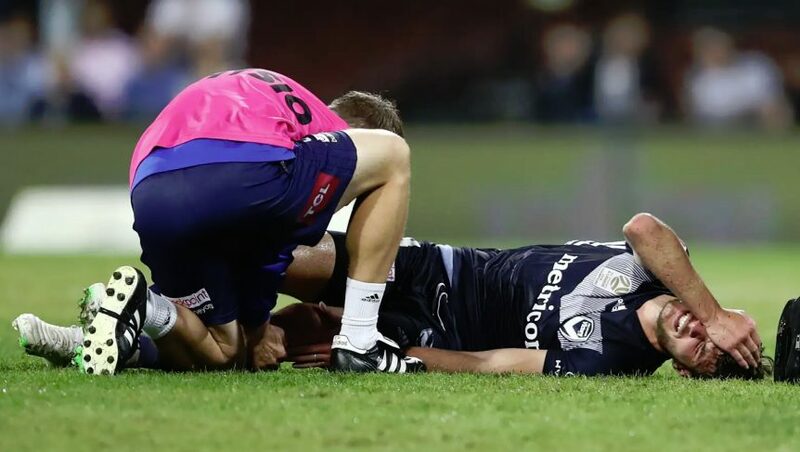 The Swans have wanted a drop-in wicket for years and coach John Longmire put the topic back on the agenda on Monday, saying it “needs to be discussed” in the wake of complaints about the safety of the ground following an injury to an A-League player at the weekend. The SCG Trust will at least have one less code of football to worry about after Sydney FC moved their A-League clash next Thursday with likely premiers Perth Glory to Netstrata Jubilee Stadium. This Thursday’s AFL clash between the Swans and Melbourne is also set to go ahead as planned, with the AFL’s independent agronomist giving the field the all-clear on Monday after finding “no issues with the surface” near where Melbourne Victory star Terry Antonis went down with a knee injury. Longmire said the Swans have had to put up with the hard, slippery centre wicket area for years. The wicket has been in place since 1888, and previous pushes for a drop-in have been staunchly resisted by cricket bodies in NSW and traditionalists. “We’d support a drop-in wicket if that was part of the discussion – it’s certainly very important to discuss it, it’s a 12-month-a-year venue and if that’s part of the discussion going forward we’ll obviously support it,” Longmire said. However, an SCG Trust spokesperson told the Herald there were no plans to begin growing a drop-in wicket, that they had nowhere to actually grow one, and that the current configuration of the grandstands meant it would be impossible to transport a portable wicket onto the playing surface anyway. Cricket NSW’s position on the matter also has not changed, despite the challenges being faced by the SCG as a result of Allianz Stadium’s demolition. The Herald has obtained a copy of an inspection report compiled by AGCSATech, a turf consultancy company, for the AFL three days before the Swans’ first match of the season. It concluded the surface was in “very good condition” and “more than suitable” to host AFL games, despite slight differences in the hardness of three different sections of the ground. Football Federation Australia also doubled down on its belief that the surface was completely safe for Saturday night’s A-League clash between Sydney FC and Melbourne Victory and had been verified as such by two independent expert reports.